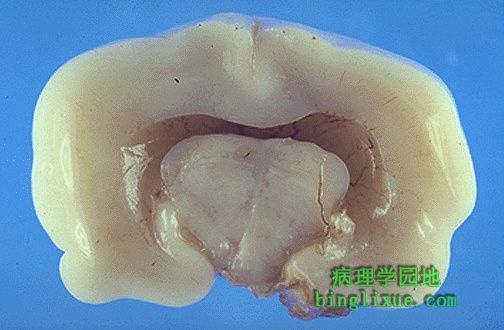 This is holoprosencephaly in which there is a single large ventricle with fusion of midline structures, including thalami. The affected fetuses and neonates typically have severe facial defects, such as cyclopia, as well. Underlying chromosomal abnormalities, such as trisomy 13, or maternal diabetes mellitus are possible causes, but some cases are sporadic.